Whoever she is, she looks rather demure there. :) Makes her look even prettier. I like her outfit! But it's kinda lame considering the creativity RPGs usually show (in terms of character outfits). She'll be easy to cosplay though! Beautifull, te design is excellent, i like it. 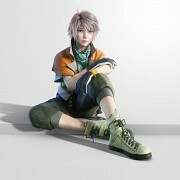 I see...This is lightning's sister, Serah. enticing character.. like it! thanks for sharing..! Thought it was Lightning for a second. I love her outfit with short skirt , thigh highs and such a pretty face. 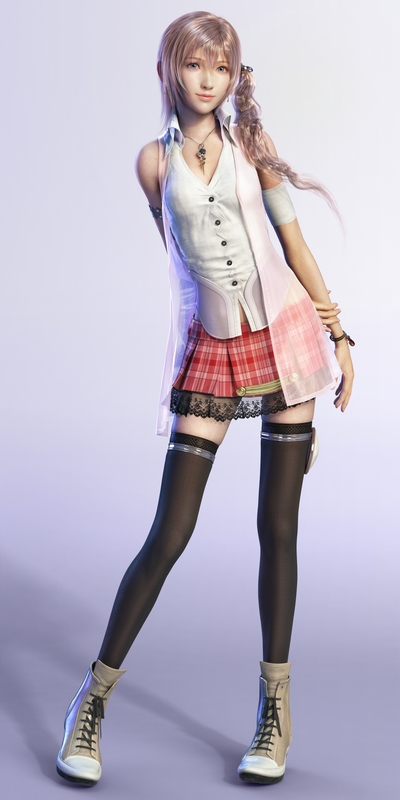 She name is serah farron thighhighs!